Today, I'm sharing my version of the energy ball. These energy balls are amazing! 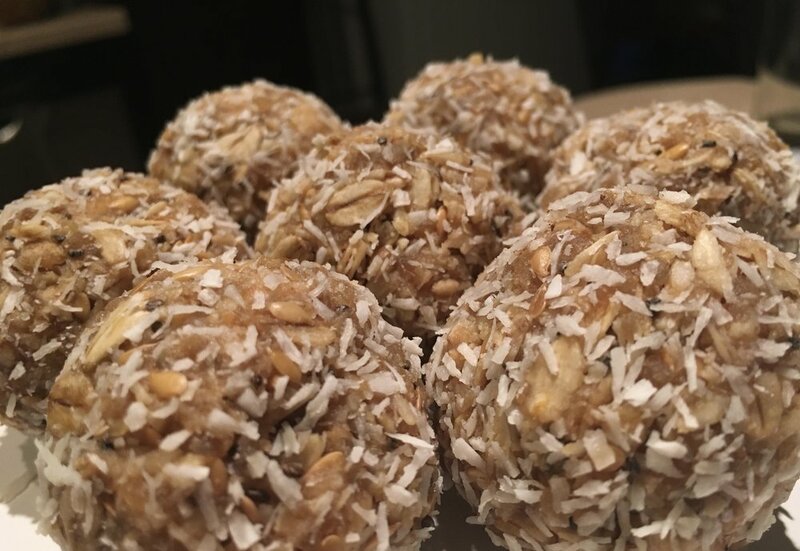 They are healthy + delicious, super easy to make, require no baking, and these are a great snack to keep around for an afternoon pick-me up or for a pre or post work-out snack. These simple + wholesome ingredients are jam packed with nutritious-goodness.